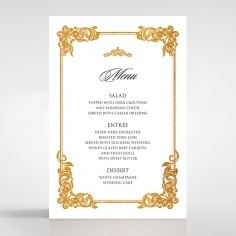 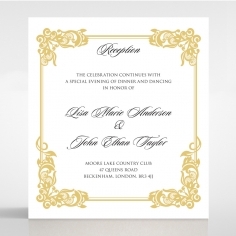 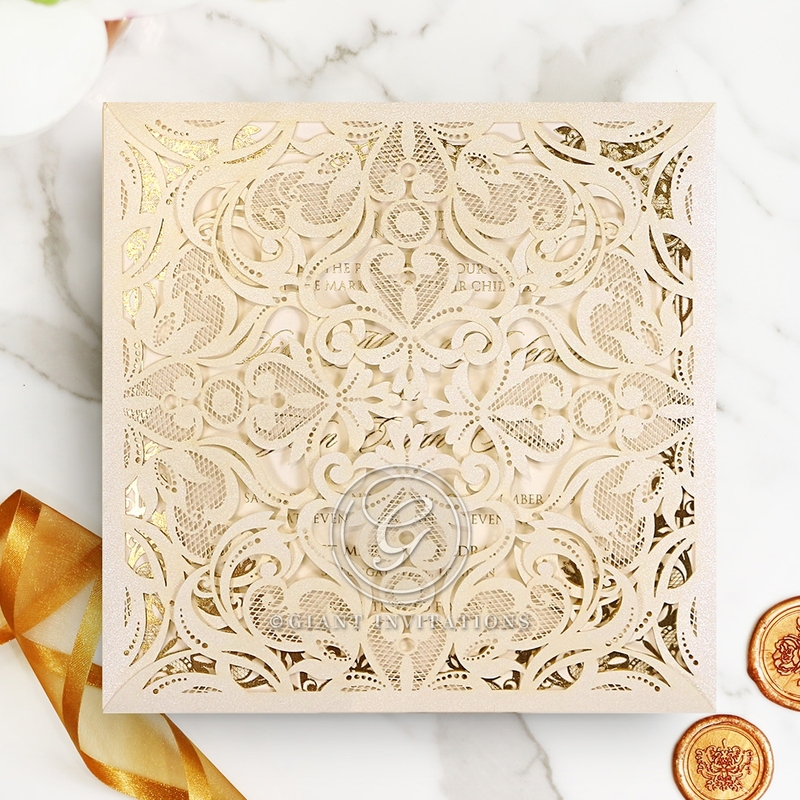 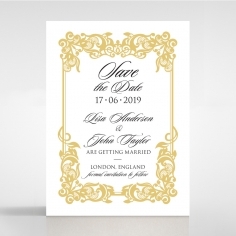 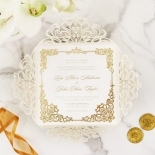 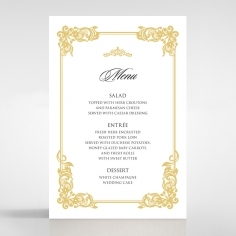 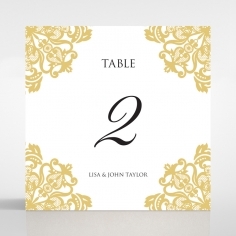 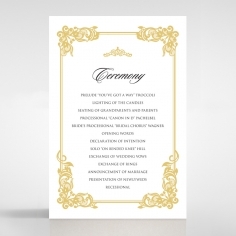 This endearing wedding invitation is the epitome of classic elegance and timeless designs as it features damask patterns crafted by applying laser cutting die software onto a premium stock. 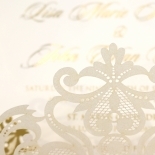 The first layer showcases the damask detailing on a pearlescent stock as it cradles the inner card as a shimmering wrap. 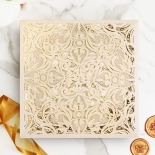 The intricate patterns flawlessly work together for a sophisticated appeal while complimenting the luxurious insert that is so versatile. 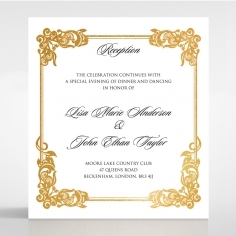 The inner card allows customisation for the wording and font style as it acts as a canvas for the lavish foiling and themed bordered. 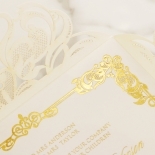 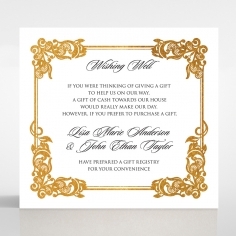 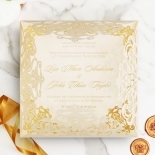 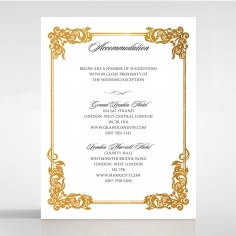 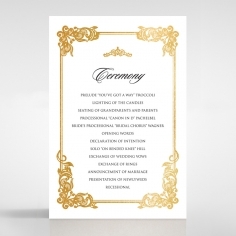 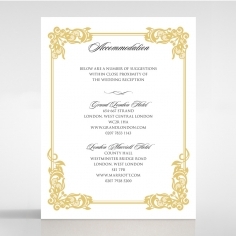 Crisp pearl envelopes with exquisite lining are offered with these opulent invites. 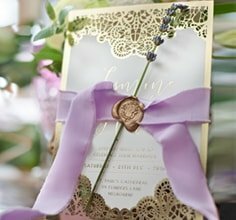 *****Our invitations are truly magical we are completely in love with them.the communication and process time was easy and super fast. 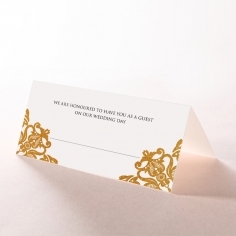 The detail is down to every fine point and the response from our guest think there a million dollars . 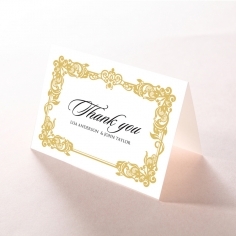 Thank you for being a part of our special day. 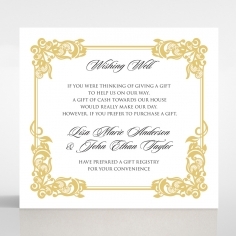 Highly recommended and have done so too many family and friends . 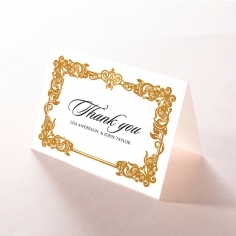 Five stars ***** . 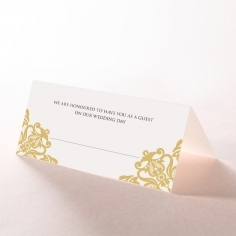 I was so excited when i recieved my samples. 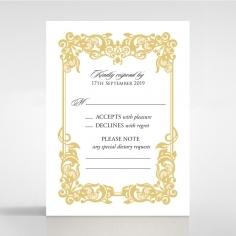 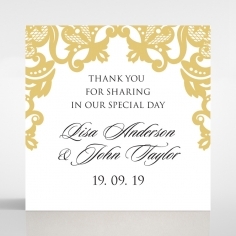 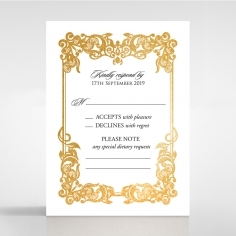 It was done very professionally and they provided me with alot of info relating to paper types, colours and styles.I will most likely go with this card, it looks so elegant and is cut so well. 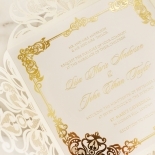 It also fits well into the traditional Pakistani wedding look. 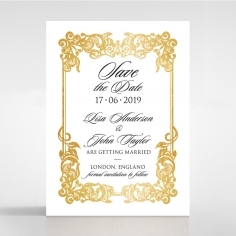 With the many colour samples provided it will look perfect.I ordered 5 samples and each are so beautiful i dont know which one to chose!